I started working full-time during the summers when I was fifteen. My first job was as a nanny for a couple of my sister's friends...and my sister. My mom never paid her bill and exploited me for free labor. Why? Because she could, my friends. Because she could. My financial goal was to buy a car so that I could have a place to smoke freely. I settled for a 1988 red Nissan Sentra and put a "Hooked on chronic works for me!" sticker on the bumper. Why? Because I could, my friends. Because I could. Prior to buying the car, I spent $350 on a black leather jacket at Banana Republic because it made me look rich. The next day in sophomore chemistry class, an actual rich girl was wearing the same jacket, which ruined my life, and I still owe her a kick in the crotch. The car lasted a few months before I crashed it with my friends and a French foreign exchange student in the car. They forgave me, and I'm still sorry. Except to Chloe. She still owes me money for chronic. 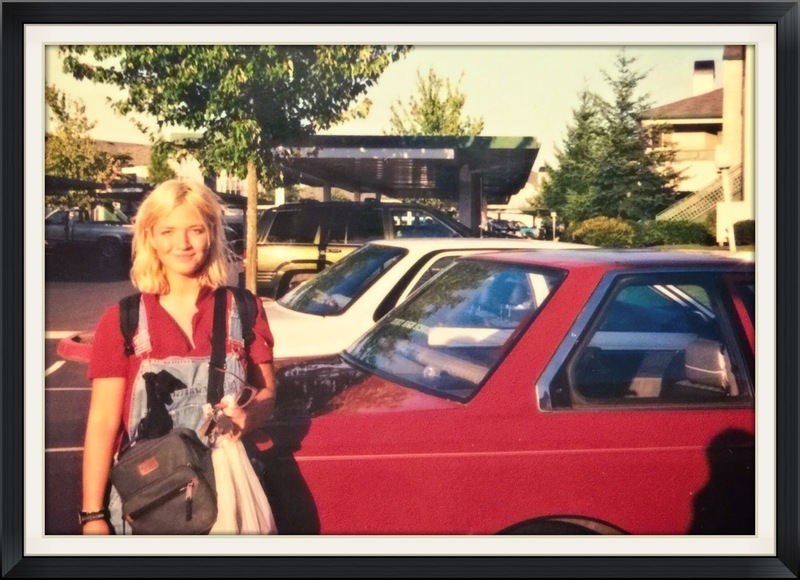 Baby Katt and her first car ('96 or 97). The car became scrap metal almost two decades ago, but I still wear the jacket. My current car. 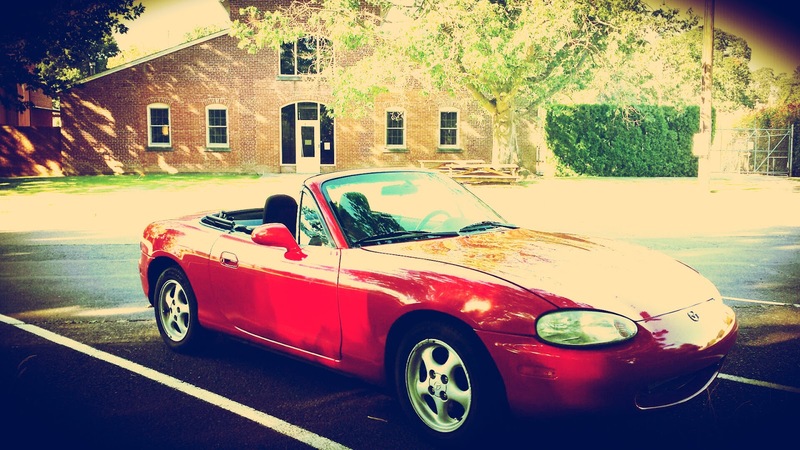 He's a Mazda Miata named Alvin. Why did I buy a car with only two seats? Because I can, my friends. Because I can.